This offer is subject to availability and the price is based on 2 people sharing a double bedroom with a balcony overlooking the beautiful golf course. Full use of the Spa including saline hydrotherapy & swimming pools, steam rooms & saunas. All offers are subject to availability - Prices based on 3 people sharing a large family room. Please note the Spa is adults only, must be 21 or over. 2 people pay £97 and the third person goes free. Full use of the Spa - Robes and slippers provided. Sharing the super large family bedroom with two Queen sized beds & one single bed, plus a balcony overlooking the beautiful parkland golf course. Dinner is not included in this offer so you are free to choose to dine at the hotel or choose one of the many restaurants in Tenterden and the surrounding area. More information..
Just £112 per person for 2 people and the third person goes free on Friday or Saturday. Great for a girls get together. full use of the Spa including saline hydrotherapy and swimming pools, steam rooms & saunas. Accommodation in a double bedroom with balcony. Use of Swimming and Hydrotherapy Pools, Saunas & Steam Rooms. Prices based on 2 people sharing and subject to availability. 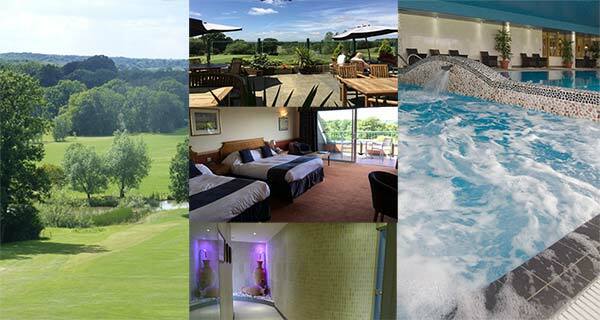 London Beach Spa offers some of the best spa breaks in kent with luxurious spa facilities, excellent food lovingly prepared by our chefs and stunning views across the Kent Countryside. The Spa which includes the hydrotherapy & swimming pools, saunas & steam rooms is for adults only with a 21 and over age restriction. Please note that the spa closes at 10pm on weekdays and at 7 pm on weekends and Bank holidays. You can gain access to the spa from 2pm on the day of arrival and until 2pm on the day of departure. However, the spa area does not have space for suitcases so we would ask that you leave your cases in your car if you wish to use the spa after the 11 am check out time. 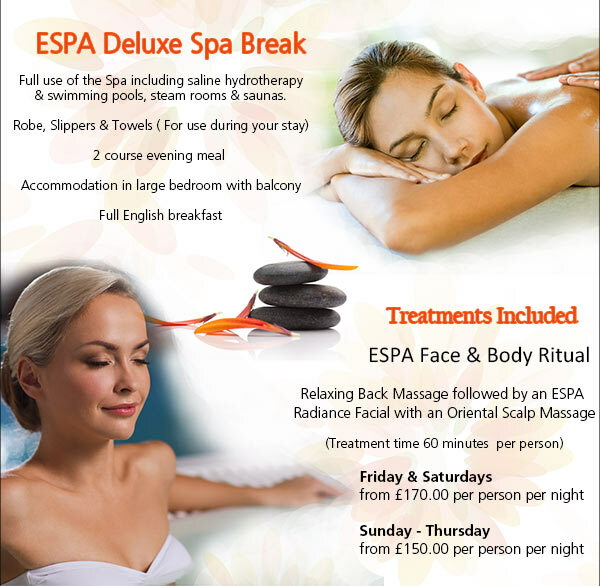 The spa break offers do not include use of the gym as it is for members of the health club only and the equipment is computerised and individually keyed to the members.